This strategically located business centre is well-connected by both road and rail. The serviced offices are in an area that is home to more than 100 companies from industries that include aviation, retail and technology. In addition, there are meeting rooms to use at your disposal as well as IT support on-site to ensure you stay well connected. There is a number of car parks around the centre, giving your peace of mind for your commutes. 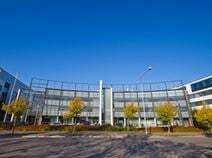 A state of the art office space with reception and conference facilities located within the modern environmental and foods technology centre. It is also benefits from a caféteria, sauna, training rooms and on-site car parking. The property is in the Vantaanportti business district in the Pakkala area close to the airport; perfect for frequent travelers and businesses with international relations. Within the immediate area, you can find a number of restaurants in which you can impress clients and colleagues, as well as Leija yrityspalvelukeskus events venue. Situated close to the Helsinki-Vantaa Airport this business centre provides flexible office space and a choice of turn-key services. There are already 130 companies operating on this site that you could join. Located next to the Helsinki-Vantaa Airport, in the heart of the Aviapolis district, this business centre is a strategic location for companies anticipating international clients and relations. Vast amounts of office space are available in this sharp, contemporary centre which can cater for individuals up to large scale companies. The centre has showers, car parking and elegant communal areas and is in an up and coming business area west of Vantaa, a short way from Helsinki-Vantaa airport. It is the ideal workspace solution for businesses with both local and international clients that want a turnkey solution in which their business can flourish.